Mexico is slowly advancing on the path to gender equality. Many public policies aimed at empowering women are now in place: over the past two decades, Mexico has increased investments in girls' education, greatly expanded childcare and preschool, improved gender mainstreaming in government, and ensured that female politicians are well-represented at the ballot box. Yet, despite these efforts, many Mexican women still do not feel the effects of these policies at home, at work, or in public spaces. Large gender gaps remain in educational outcomes, participation in the labour market, pay, informality status, and hours of unpaid childcare and housework. 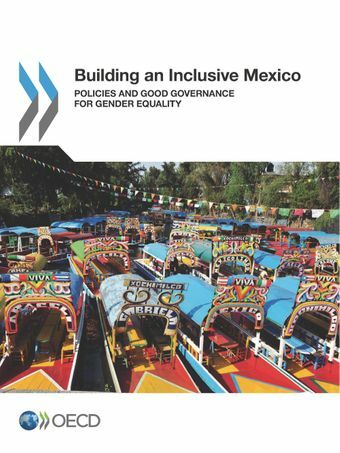 “Unlocking Mexico’s full potential,” as Mexico's National Development Plan prescribes, will depend crucially on how well Mexico closes existing gender gaps in political, social and economic life and promotes real social change. Mexico must continue to invest in social and labour market policies that empower women, and reinvigorate efforts to reduce inequalities in education, labour force participation, job quality, unpaid work, and leadership. This will require embedding gender equality objectives in all public policies and budgets, across all levels of government, and ensuring the effective implementation, enforcement, and evaluation of policies and laws to achieve inclusive outcomes.